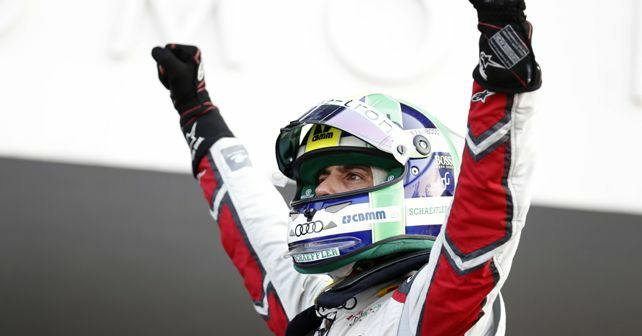 Team Audi Sport ABT Schaeffler's Lucas di Grassi left everyone shell-shocked as he managed to pull out a last-second overtake on race leader Pascal Wehrlein to clinch the top spot in the Mexico E-Prix. The 2019 Mexico E-Prix witnessed perhaps the most nail-biting finish in the history of Formula E where Lucas di Grassi (Audi Sport ABT Schaeffler) pulled off a sensational win at, quite literally, the last second of the race. While this was di Grassi's first win and podium finish of the season, the results were truly heart-breaking for Pascal Wehrlein (Mahindra Racing) as he had been leading the race from the very start, until the final straight. He had a flawless qualifying session in which he secured the pole position. Despite a photo-finish in second place, Wehrlein had to settle for an overall sixth place after being handed a five-second post-race penalty for cutting a corner at turn 4 of the final lap. Taking advantage of the chaos and lockups on Turn 1, Oliver Rowland (Nissan e.Dams) moved from fourth to second behind race leader Wehrlein, pushing di Grassi to third. While these three led the rest of the pack for the initial five minutes of the race, the race came to an abrupt halt just moments later as the race marshals brought out the red flags. Apparently, a collision involving Nelson Piquet Jr. (Jaguar Panasonic Racing) and Jean-Eric Vergne (DS Techeetah) was responsible for the halt. Piquet Jr. ended up colliding into the rear of Vergne's car while coming into Turn 14, launching his car over Vergne's and into the barrier on the other side of the chicane. Despite the dramatic crash, Piquet Jr. was able to climb out of his mangled I-Type 3. Alexander Sims (BMW i Andretti Motorsport) also suffered a bit as Piquet's car had clipped his before the crash. With the clock still counting down under the red flag, the decision was taken to add 26 minutes to make up for the downtime. Heading back out of the pit lane behind the Safety Car, the clock was reset with 40 minutes of racing remaining and once again, Wehrlein was in the lead with Rowland and di Grassi close behind in second and third, respectively. With just nine minutes left, di Grassi engaged his Attack Mode boost in order to get past Rowland. On the next lap, both Rowland and his teammate Buemi (Nissan e.dams) followed suit and engaged their boost as well. However, due to depleting energy levels, both the Nissan e.dams drivers had limited power and consequently, di Grassi managed to edge past Rowland into second. Despite holding a respectable third and fourth place in the race, both Rowland and Buemi fell victims to battery depletion as they both were running on just two per cent energy with two laps left. On the penultimate lap, however, they fell back to the end of the pack and subsequently, ran out of juice completely, earning themselves DNFs. Desperate for the win, di Grassi was hot on Wehrlein's tail. Wehrlein, having spent his energy defending di Grassi, was left depleted and just metres before the finishing line, he too ran out of juice completely which paved the way for di Grassi to take the win. Due to Wehrlein's post-race penalty, Antonio Felix da Costa (BMW i Andretti Motorsport), who crossed the line in third place, was promoted to second and Edoardo Mortara (Venturi) moved up to third. Mahindra Racing's Jerome d'Ambrosio made the most of the red flag as he made a noteworthy comeback into the race. After starting the race in 18th place, d'Ambrosio managed to claw back multiple places to finish the race in fourth. He had managed to gain seven places in the first lap of the race itself! The race turned out to be a good one for F1 star Felipe Massa as well who managed to bag his first points of the season. He crossed the line in 8th place after starting from third, earning four valuable points for his team Venturi. After round four, Jerome d'Ambrosio moves up from second to lead the overall championship with 53 points, followed by Antonio Felix da Costa in second with 46 points. Sam Bird, who only managed to secure two points in this race. moves down to third with a total of 45 points.